His father was a well to do businessman till he was paralysed. A young Sanjeev even got into a bit of trouble with the Mumbai customs. But things have turned out well; his phone business has an impressive physical presence and is about to go boom online as well. My childhood isn’t as dramatic as my youth. I was born in 1979 in Surat, Gujarat. My father had moved from Haryana to Gujarat where he ran his own textiles business. Mine was an upper middle class family so I would say we were living quite comfortably. However in 1983, when I was 4 years old my father met with an accident and he was paralysed waist down. He was moved to a hospital in Delhi where he stayed for three years. I remember as a nine year old boy going to my father’s shop after school to work there. My brother was born few years me worked in it too. As children we spent a lot of time at the shop. My father is still alive by the way. In fact he received a medal for his achievements from president Pranab Mukherjee in 2015. Now let’s talk about your days as an adventurous young man. When did you decide to open a phone shop? We worked in my father’s shop for about six years till 1992. Then in 1998, when I was 19 years old I opened my own mobile phones and accessories shop in Surat called Bhatia’s Watch and Gift Shop. I suppose my years watching and learning from my father influenced me to become a businessman as well. Yes, I did do a thing or two that I’m not very proud of. I wasn’t very aware of the laws at the time, I was young. In 1999 when I went to Mumbai to buy some inventory for the shop, I met a customs officer. This is where the plan to smuggle in in large stocks of mobile phones from abroad and sell at a profit was thought up. I went to Hong Kong and brought back phone batteries worth 200,000 rupees which I didn’t pay customs duty on. I sold the lot for 400,000 rupees. Then in 2002 I decided to bring in phones worth 18 lakh rupees from Singapore. Unfortunately I was caught by Mumbai Customs. It was probably the best thing that could happen for sales. The news made headlines, I was infamous and caught the attention of the entire country it seemed. Business at the shop boomed, the whole of Surat came calling at my Bhatia’s shop. Around 2004 and 2005, anti-smuggling laws were strengthened. But by that time Bhatia’s was a household name and number one in phone accessory retail. If it’s phones, it’s Bhatia’s in Surat. 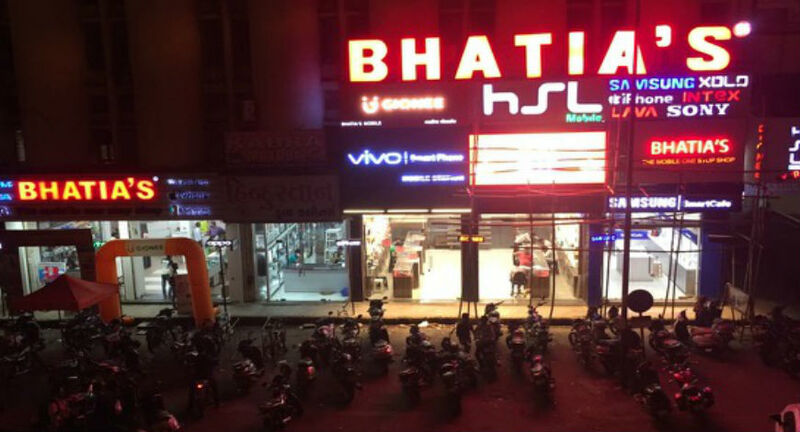 So you had one physical shop in Surat called Bhatia’s? Well, by 2006 I had 2 shops in Surat. In 2008 I decided to open the business to a franchise model. I got about 35 inquiries for the print ads we ran calling for applicants. There are now a total of 95 Bhatia’s phone shops. 65 are owned by my family and 35 stores are owned by franchisees. In fact our biggest selling city is Delhi and the bulk of our orders come from the south of India. We have come a long way since Surat and smuggling. And now you want to go online? Why? I met my business partner Shrutam Vijay Desai somewhere between 2007 and 2008. 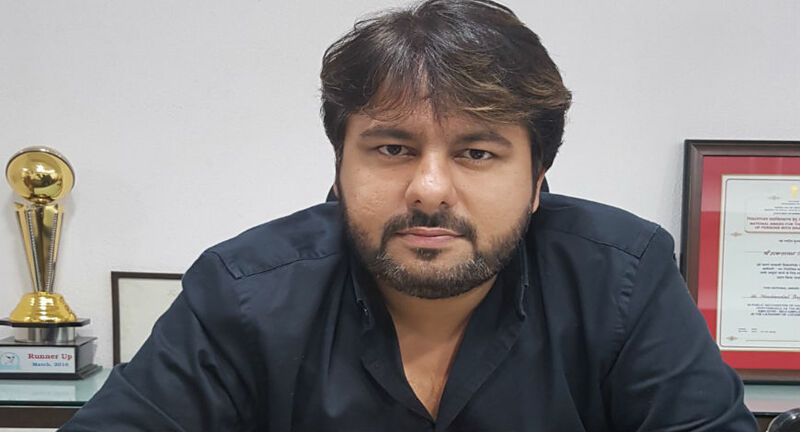 He’s been in mobile handset industry for almost 12 years and has worked with Sony Ericsson Mobile Communication (now Sony Mobile) and Nokia. We rolled out online Bhatia’s mobile shop only about 6 months back in February, 2016. Like we were saying if it’s phones, it’s Bhatia’s in Surat. We wanted to replicate this success across India. Besides, ecommerce has taken the country by storm. It has come to a point where customers will think less of your brand if you don’t have an online presence. So to be able to be the number one, one-stop, go-to phone shop for Indians, we must have an omnichannel presence. It isn’t enough to be just in a physical store, you must have an online store so customers can access your products anytime they want. You can’t do this with mortar and brick. And physical stores are an important part of strategy because…? You need such shops too to make sure a customer can walk in, touch and feel the product for themselves. While Flipkart has a 100 million registered customers, and, don’t get me wrong, this is a big amount, it still doesn’t represent the majority of India. For most Indians, buying a phone is a celebratory event, an achievement to be shared with loved ones, so we feel it is mandatory to have a physical store at locations close to your customers where ever they may be. What does the future hold for Bhatia’s phone business? As part of our expansion plans we hope to have 640 physical cities across 400 localities in 3-4 years. But first we will wait to see what the GST law terms will be. We will also build a comprehensive distribution channel for shipping and to grow sales on our online store. We are targeting delivery of online orders within 24 hours. For this we will need a comprehensive network of stores and warehouses. This is why I say online isn’t as cost efficient as it may seem. The manpower and skill required to handle customer issues 24/7 can be quite capital intensive too. We will be self-funding it, we are not looking for external funding. Nor will we be looking at big discounts to increase customer demand. We believe in positive unit economics. 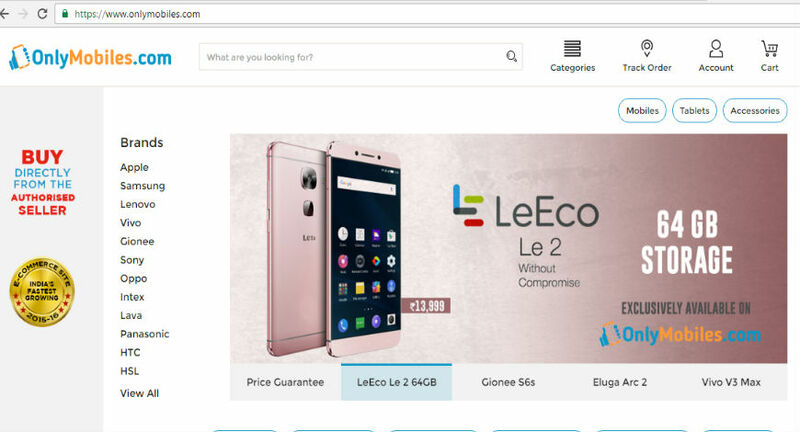 Bigger ecomm companies may be able to survive by big discounting but we don’t think that is good for business in the long run. Can you self-fund such big projects? What are sales like? Online business is only few months old so not much to report there. But our physical stores have turnover of 200 crore per year with 3% gross sales and 1% net sales. Most companies are selling online as physical stores are expensive. Why would you want to open 600 of them? I would say it’s a misconception that pure online selling is more cost effective. You can’t just look at it as expenditure in terms of rupees earned and lost. I would say the chances for brand mismanagement is much greater in ecommerce. For instance a 21 year old customer of ours had saved up money to buy a tablet for his sister’s birthday. But the shipping company had mishandled the order and the customer had been informed his package has been lost. Luckily our customer support team was able to rectify the situation in time and things were smoothened out. But what if the customer had been dissatisfied? He could have immediately gone online with a click of a button and posted several unfavourable reviews, spread negative messages about the brand to thousands of people. Who knows what the loss to company and future sales would have been? At least in a physical shop an unhappy customer would be easier to deal with. Because we know phones very well. We know only this one thing, and we know it really well. One of our big offers online for the festive season is 30 Days Price Guarantee program. Customers can claim the price drop of their purchased products within 30 days of purchase. The price protection is calculated at the very same moment the customer actually opts for it. For example, a mobile phone is purchased at Rs.19,999 and within 30 days if the customer observes that the price has come down to Rs.19,299 then the customer is entitled to claim this discrepant Rs.700 or more under this program.